Let’s go to Windsor for the weekend. I know you are going to think me crazy, but why not? It is close enough to Toronto that you escape to Windsor for a weekend and yet still make it back to work on Monday morning. 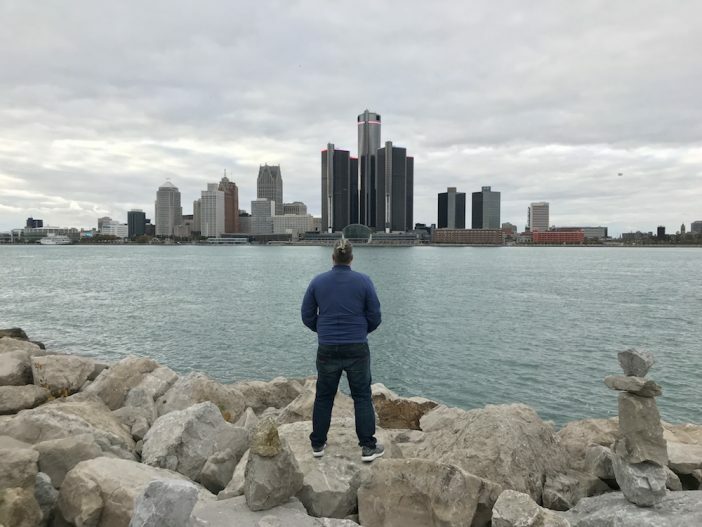 With a population of around 220,000+, it isn’t a “big city” but it has a big city feel thanks to the 4 + million people that live across the water in Metro Detroit. 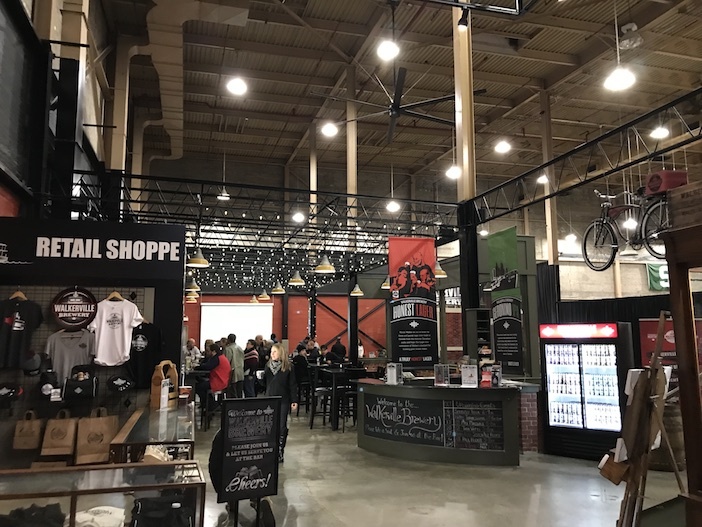 Plus the affordability of Windsor in recent years means that it has become a hot spot for creative types and entrepreneurs wanting to strike out on their own without the huge overhead of launching in Metro Toronto. I think you’ll be surprised with what you’ll discover by spending a weekend in Windsor. I certainly was. I begin my adventures by checking into a true hidden gem of a B&B. It is actually called A Hidden Gem Bed and Breakfast and it is located at 406 Moy Avenue. 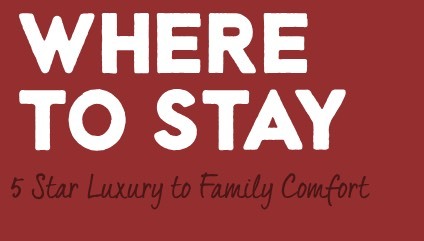 There are 2 suites in this B&B so you are guaranteed to have as much privacy during your stay as you’d like. I chose the Loft Suite which was bigger than some apartments I have lived in before. Hosts Troy and Susan have the suite set up beautifully as you can see in the tour of my suite. Breakfast here is also totally on point as you can see. 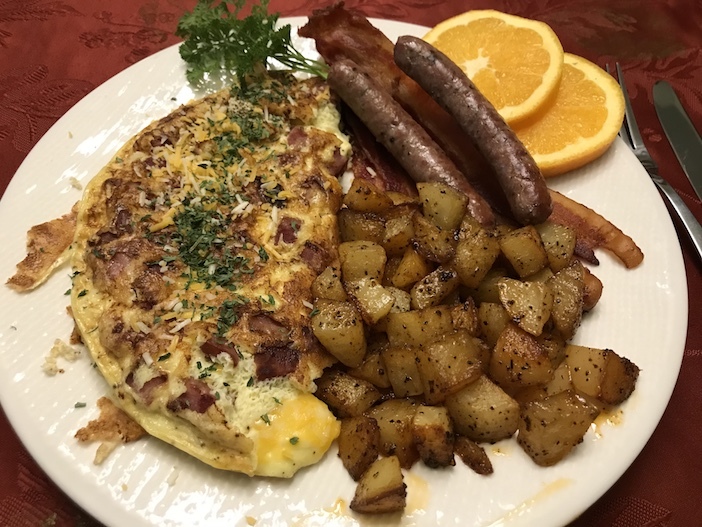 A Ham and Cheese Omelette with hash browns, bacon and sausage. Totally delish. Now you have choices for what to do next. It is only a short drive to wine country and the quaint town of Kingsville which is worth exploring. Windsor/Essex County has plenty of options but for the next day or so I plan on staying within Windsor city limits. If I had planned a little farther out I would have booked myself a food and drink tour with WindsorEats, but as this is a last minute trip I’m going to have to discover some of the local favourite spots on my own. 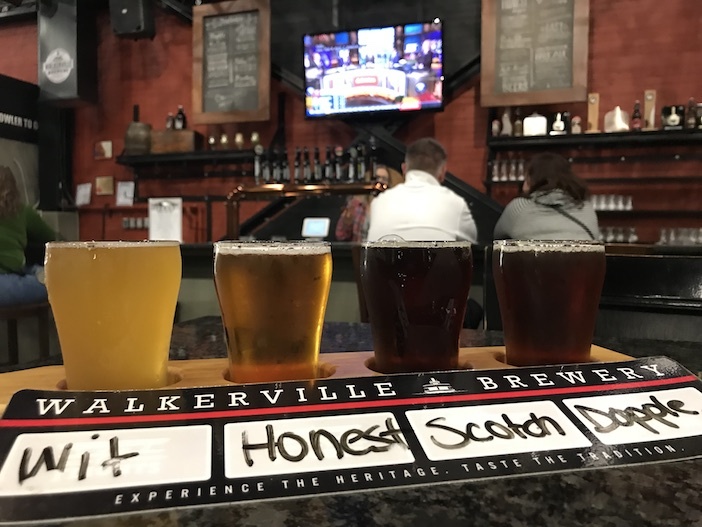 Stop one is at Walkerville Brewery at 525 Argyle Road. The brewery is housed in one of the original Hiram Walker and Sons LTD buildings and carries on Mr. Walkers tradition of brewing good honest beer. A very popular spot for locals this place can fill up fast. I sampled 4 of the brews in the tap room. Did I pick a favourite? It was the Waterfront Wit although I really enjoyed the Scotch Ale as well. You’ll just have to try a few and pick your own. With a belly full of beer I decide I need a walk and the best views to be found on any stroll in Windsor are to be found along the 5 km waterfront trail. Of course, any walk I take is made better with a coffee in hand so a quick stop at Anchor Coffee on Lincoln Street is needed. Located near the B&B this locally owned coffee shop brews a wicked espresso and the staff are really friendly and share plenty of local knowledge. Now for that walk. Quite the view. 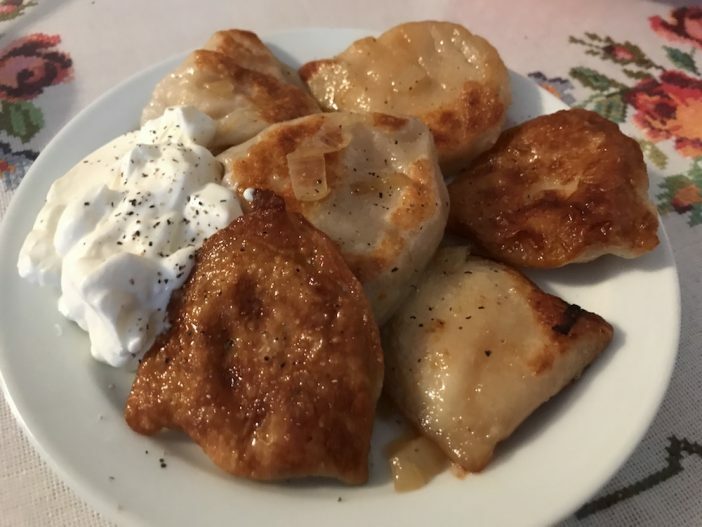 I’m feeling a little bit peckish and thanks to a local inside tip I’m hunting down a tiny restaurant that serves what I’ve been told are some of the best Pierogies to be found in all of Ontario. It is called Ukrainian Restaurant and is located in the old Polish neighbourhood at 1148 Marion Ave. I don’t know what to expect when I step inside but I did not expect to find what I saw. Frozen in time this converted living room to restaurant dining room probably hasn’t changed in over 40 years. It is a seat yourself kinda place and to order you walk up to the small cut out and order directly from the owner/chef. Open 7 days a week everything is made fresh each day and she only takes cash. I ordered a half dozen pierogies and a bowl of cabbage soup to warm me up. If I wanted a drink I would have helped myself to the stocked fridge beside the window. 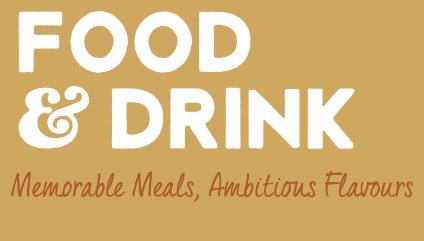 If I could describe in one word the food I would fail. It is comfort, love, old world and flavour all wrapped into each bite. I had dinner plans for later otherwise I would have ordered another 2 or three orders of pierogies. They are simply the best I have ever had. I forgot to ask if she sells them frozen to take home. Next time I won’t forget. I need a nap. Back to the B&B so I can recharge and be ready for dinner at Vito’s Pizzeria at 1731 Wyandotte Street East. Who doesn’t love Italian food and Vito’s is one of the most popular dining spots for locals in town. Come with a big appetite because the portions here are huge. Start off with a glass of Prosecco or perhaps a cocktail and then when it comes to ordering dinner be prepared to be torn. Do you order the wood-fired pizza or go with the pasta? I had to order the Pasta con Polpetti because it is not spaghetti and meatball but meatball and spaghetti! 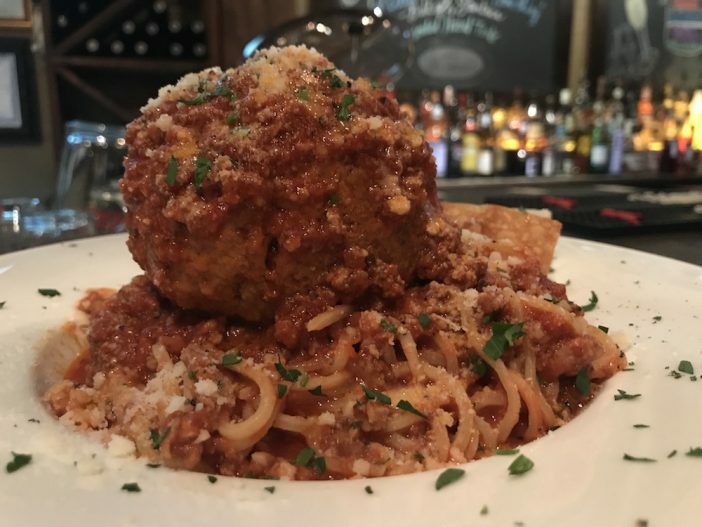 Housemade Bolognese sauce covers the massive meatball and pasta and plenty of parmesan is grated over it for a little extra love. Ok, now I am seriously full and need to call it a night. Back to the B&B, a warm bath and a little Netflix and chill time before bed. I know I should have looked into visiting the art galleries or museums but damn there is some good food and drink to be found in Windsor and that is my kind of adventure. Another fabulous adventure in Ontario’s Southwest that just can’t be beaten. This blog was created in partnership with funding from Ontario Southwest. To explore more that you can do in #OntSouthwest check out ontariosouthwest.com.